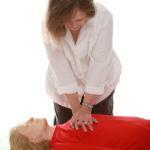 Massachusetts licensing may specifically require AHA, BLS for Healthcare Providers. 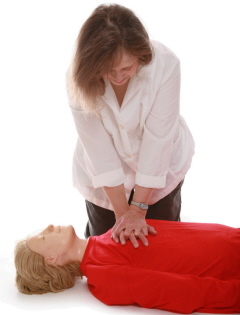 The BLS for Healthcare Providers course is designed to provide a wide variety of certified or noncertified, licensed or non licensed, healthcare professionals with the skills to keep people alive until they can be brought to a hospital or be treated with more advanced lifesaving measures. Course length is approximately 4. hours. Any fees charged for such a course, except for a portion of fees needed for AHA course materials; do not represent income to the Association. Once the online portion of the class is completed, Print the Certificate of Completion. Then call for an appointment for a skills session to receive an AHA BLS Healthcare Provider Card. Skills Session requires estimated 1 hour. Skills Session : Cost $40 pp.